Its been a couple of years since our last RATBRO feature because every release sells out super quick! The masterminds RatBro Polina Antonova and Igor Vikentyev figures or plush whatever you want to class them as. All we know they are F-ing badass! We still haven’t seen anything like it. 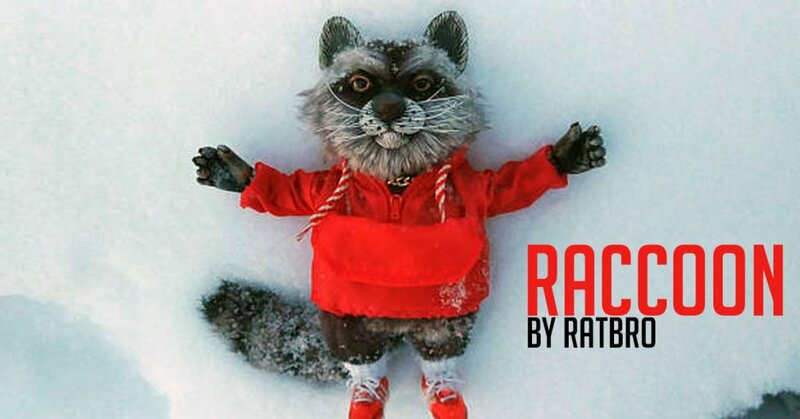 The realism and the clothing just adds to the RatBro and now they’ve launched Raccoon! Collectors can choose from a number of colours for Raccoon’s hoodie! Now available at RatBro’s Etsy store https://www.etsy.com/Ratbro. Instagram @rata_rey and https://instagram.com/pest0ne/ you can also like the Facebook Page HERE.